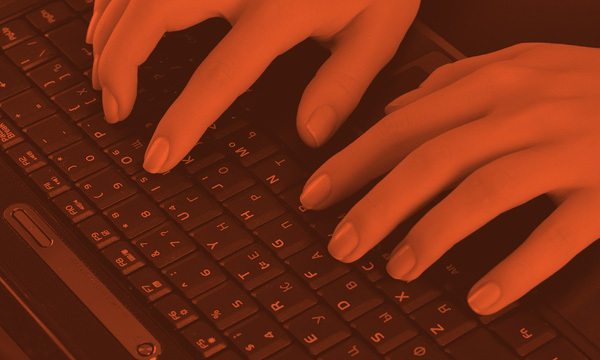 Edval’s revolutionary method of interview scheduling via algorithms makes a huge difference. As far back as 2011, newspapers were reporting the benefits this new technology provides. 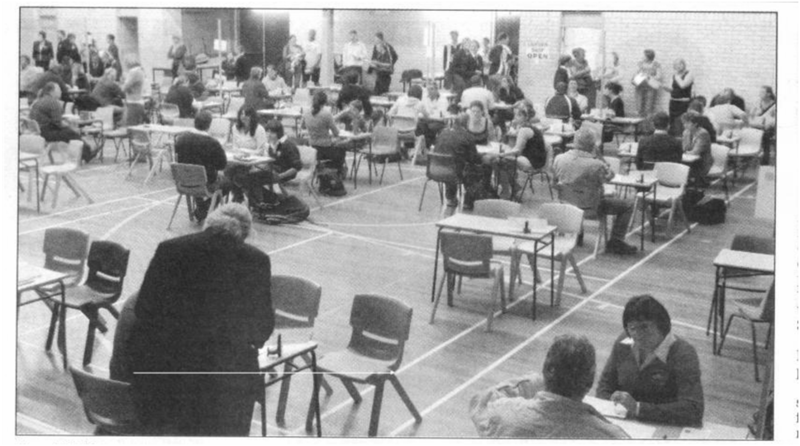 As the photo caption states, parents were scheduled within two minutes on average, of their preferred starting time. You don’t get that with any booking system! 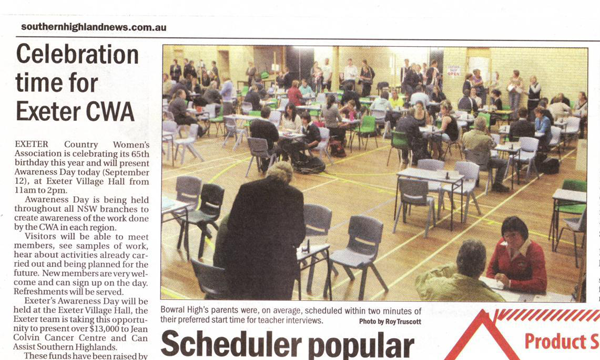 Timetabling is the future for parent-teachers’ conferences: it’s how schools can engage parents on a whole new level. 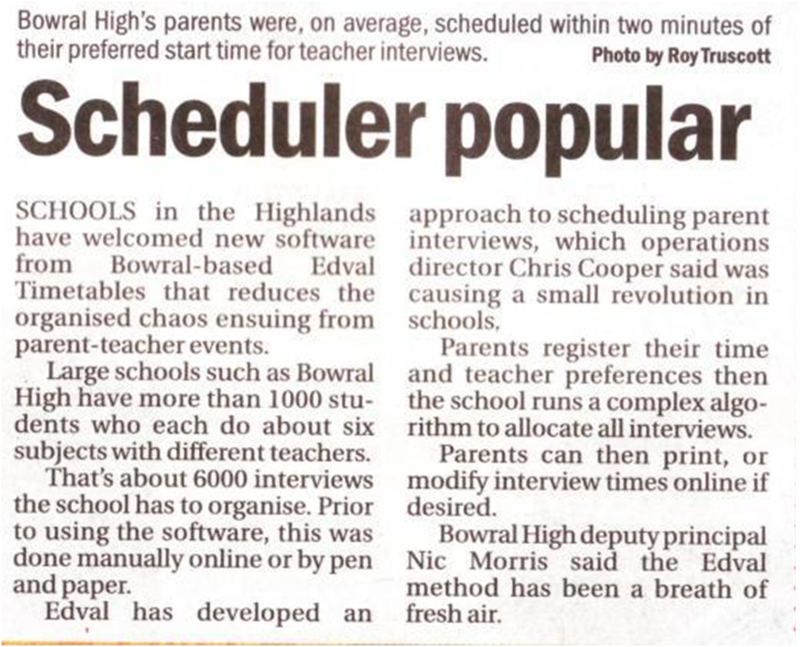 Here’s the original article from 2011 featuring the Bowral High challenge!